Let these Christian Halloween alternatives help you shine your light for Jesus even on October 31st! We as Christians have a choice: we can hide or we can stand for Jesus and shine His light into the darkness. Everyday should be a day in which we look to glorify our Lord and Savior by how we live and also by sharing Him with others. 1. One thing we did was have a treasure hunt . 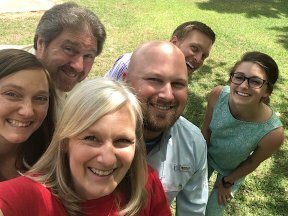 We would use fun creative clues, many times including Scripture references, for them to find either a treasure chest of candy at the end or little treats along the way. What fun memories these times made! 2. Another Halloween alternative included having special movie nights with popcorn and treats! 3. One of the most memorable activities though was carving pumpkins for Jesus using the "Pumpkin Patch Gospel", We used the book "Pumpkin Patch Parable" by Liz Curtis Higgs to demonstrate how much we are like a carved pumpkin - when we put our lives in God's hands, He cleans all the gook (sin) out and places the light of Jesus inside of us making us new and changed shining for Him! 4. Still another fun activity was playing hide and go seek with flashlights (letting God's light shine in the darkness)! Even as young adults, our kids still love to do this! 5. We also participated in our church's Fall Festivals, and had other fun family memories that glorified God. This is a great idea from CrossWalk.com for both families & neighbors or a church youth group! 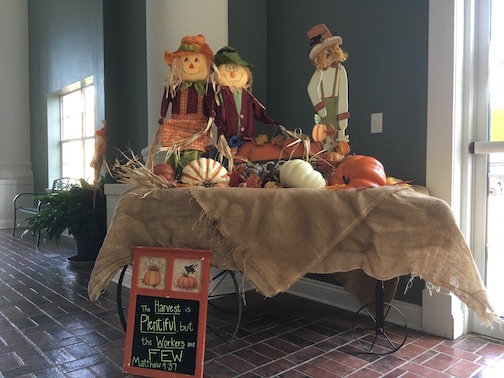 Their "Fear Not" Party ideas include games, scary stories with a meaning, as well as other suggestions for redeeming Halloween. 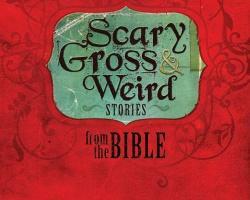 Group Publishing offers two free downloadable youth Bible study lessons from a series called Scary, Gross, & Weird Stories from the Bible! Halloween is a great soul winning opportunity too! 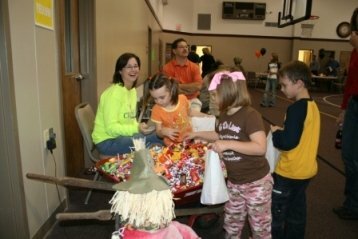 Use these other creative Christian Halloween alternatives to make October a time to share God's love with others...especially children! Use this free Halloween tract with a piece of candy to share the Gospel of Jesus Christ with the trick-or-treaters that come to your house, your Sunday school class, or other children in your life. This tract can really be used anytime during the year for a "treat with Truth!" Halloween has become a time that encompasses darkness and fear. The Bible tells us that God is light and therefore we are to let our "light so shine before men that they may see our good works and glorify our Father who is in Heaven." (Matt. 5:16) Therefore, Christian Halloween alternatives help us do just that. God does not desire for us to live in fear. Use this little scarecrow lollipop tract to share God's love with children and that can trust Him and not be afraid. Also, Abby Burg offers a really cute free printable to attach candy and share the sweetness of Jesus' love! I believe God created fun and enjoyment...Satan just distorts it. 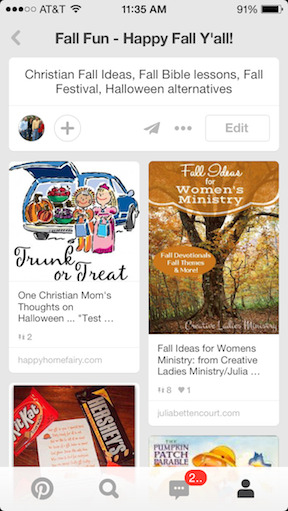 Check out our Fall Pinterest Page for even more great ideas!